Gowri Shankar spoke to Jayavel Murugan who is marketing Kuselan for Pyramid Saimira and Mahesh Srinivasan who is marketing the movie in the bay area. 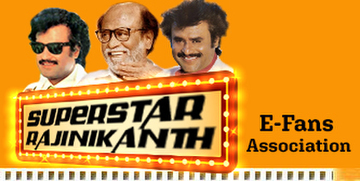 It was a blockbuster opening weekend for Superstar Rajinikanth in the United States of America. 'Kuselan' continues to march on with the same speed as it opened on August 1 and has been sold out in all major locations in the second week too. The US distributors of 'Kuselan' in lieu of the friendship week have brought the ticket price of the Rajini blockbuster to $10. According to Jayavel Murugan who is marketing the movie for the Pyramid Saimira Group, 'Kuselan' is a movie to be watched with friends and family and we are encouraging repeat audiences. The movie is very good and not just Rajini fans like it. Every single Tamil household likes it. It is a wholesome family entertainer with a fitting climax that can move every one and flood their memories with old forgotten friends. The distributor also highlighted the fact that his team has made the right moves that will encourage folks to come out and watch good movies like 'Kuselan' on the big screen with friends and family. 'Gas and food prices have gone up. Inexpensive movie tickets would indeed be a big relief' he says. After all watching movies is a favorite past time for Indians!